Let's congratulate the top 3 winners in June's Cover Wars. Check out the above books at the following links. 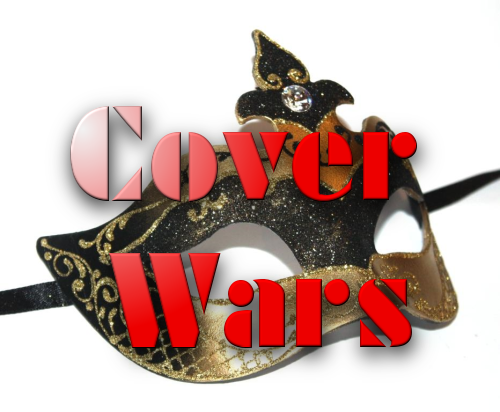 Check out all the Cover Wars of this month. Blogger Banter #21: @NicoleMHewitt from Feed Your Fiction Addiction! Details here. The art of gossiping, gabbing and chatting with awesome book bloggers! Over 3,000 votes. Which are your favorite book covers? The other day I saw a review that referred to the author as being traditionally published. Whenever I see this—be it from a reviewer, author, marketer, publisher, or just about anyone—I take a second to investigate, to see if I agree with them. In most cases I simply do not. There's a lot of confusion over indie vs. traditional, indie vs. self-published, and the like. These terms are used loosely, which makes it difficult to know what's going on. Comparisons are made and reviews are written, leaving potential readers in the dark. Because there is little consistency. The general consensus is murky at best, but it doesn't have to be this way. There is a simple way to define these terms that would eliminate all confusion. Blogger Banter #20: Allison from Allison's Book Bag! Play our genre specific scavenger hunts for a chance to win books. The exploding popularity of the Cover Wars/Scavenger Hunt campaign this month made it imperative to have more than one scavenger hunt, so we separated them by genre (as best as we could tell), so you can play all of them ... or stick with the genres/books you'd like to win. Details here. Unfortunately the giveaway has ended! But please do check out the book. 50 book covers. Vote for up to 10 of them each day. Blogger Banter #19: Paula (@beau_angelnz) from The Phantom Paragrapher! Nearly 2,000 votes. Which are your favorite book covers? Vote for up to 10 of your favorite covers at the bottom of this post. Hello! My name is Millie and I am a lover of YA fiction and blogger from Book Bird Fiction. I have always loved books but got into reading seriously in about 2012 after discovering Booktube. I haven't been quite as brave to start a Booktube channel but in January 2013 made the best decision of my life to start my blog. I am a lover of animals as well as books (hence the inspiration for the blog name) and interested in science. I dream of becoming a doctor with a writing career on the side (you can never do too much). There's something about dystopia isn't there? Something that is so interesting to experience when you realize how different the world you're reading about is from your own. As I've posted about before, so much of dystopian fiction is incredibly, sadly negative. Yet even in dystopian stories with a strongly negative quality I often find myself enjoying being wrapped up in the character's world. What is it that makes dystopia so captivating? I think I have some ideas as to why. One thing about dystopia that is enjoyable is the shock value of it, the jolt of surprise when you see how much differently things could be done in the future. Often it's things being done in a way you might not like, but it can set your mind swimming. Fun! Books! Giveaways! 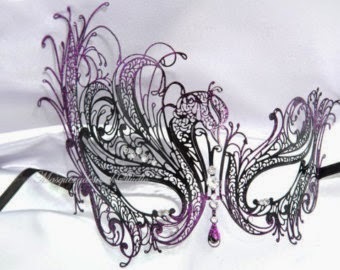 Become a Masquerade Book Tours Host! Closing in on a year ago, I (DeeJay) took on the the crazy idea of hosting blog tours for authors. I wasn't sure it would be successful, but I was hopeful. Turns out the Masquerade Crew had made a quite a name for itself and people were interested in what we had to offer! Now we are growing at a pretty steady pace and I can hardly keep up with the demand! This is where you (the bloggers) come in. We're looking for more tour hosts to join our ever expanding family! The Benefits? Grow your social media through our giveaways. Each host receives an entry for a social media site in our Rafflecopter giveaways. Reviewers get TWO! See an increase in traffic to your blog. After every major tour, we promote all of the tour hosts and their posts via Twitter and Facebook. Combined, our eleven Twitter accounts have over 80,000 followers!